MOSCOW, April 8. /TASS/. The purpose of the Field Marshal Khalifa Haftar-led Libyan National Army’s push towards Tripoli may be to up the ante ahead of a national conference on the political settlement of the crisis, due in the middle of April, analyst Grigory Lukyanov, of the international discussion club Valdai, told TASS on Monday. Haftar declared the beginning of an offensive towards Tripoli on April 4. His forces approached the capital mostly from the south. Currently they are engaged in fierce skirmishes with the forces of the Government of National Accord, headquartered in the city. The clashes have already left 32 killed and about 50 others injured. 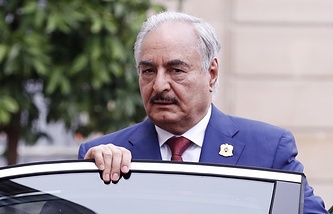 Lukyanov drew attention to the fact that Haftar’s push towards Tripoli was launched shortly before the opening of a peace settlement conference, due in Ghadames on April 14-16. "The LNA’s command really believes, just as it had promised on April 4 and 5, that the military operation will take no more than 10 days," Lukyanov said. "Upon completion of the active phase of the operation to seize key facilities in the Tripoli agglomeration it will gain at least an indisputable advantage over its opponents and critics at the national peace conference. And at the most, it will achieve the recognition of the results of the operation by all other regions of the country and foreign monitors." "Haftar and his entourage need the conference as a platform for presenting and consolidating the military victory. For this reason they will not reject the idea of holding it. Moreover, they may even insist the conference should be held on the agreed dates," Lukyanov said. "In the current realities it is hard to say that in this capacity the conference will suit other potential partakers, as well as organizers, the United Nations and foreign observers," he added. At the same time, Lukyanov remarked, from the military and political point of view control of Tripoli as such would be a disadvantage for Haftar. To keep such a densely populated city and its suburbs under control he will need "more forces than is necessary for taking it." "This part of the country has a rather developed road network, so Haftar’s numerous opponents will find it far easy to mobilize and redeploy their forces to resist the LNA, which is approaching from the south. The city of Misurata, located west of Tripoli, possesses major military resources and over the past few years it has been one of the citadels of Haftar’s opponents," he explained. The success of Haftar’s offensive towards Tripoli depends on both internal and external factors. The main of these is whether the LNA will manage to retain control of the taken territories in a situation where considerable forces will have to be used to storm the capital. Lukyanov explains that Haftar has established control of the southwest not so much with military force as by bribing the militant groups operating there. "Fast and practically bloodless surrender of Gharyan and a number of other communities is a reason enough to suspect that some local militias have been bribed in advance, the way it was done earlier in the south," he speculates. "The closer to the capital, the slower the movement of troops. Heavy artillery and tanks are being moved in, which indicates, on the one hand, how serious the intentions are, and on the other, that much stronger resistance is still ahead." 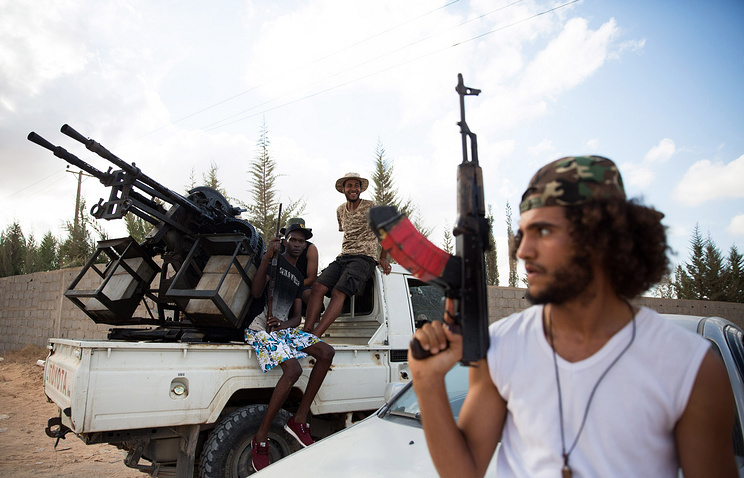 In the meantime, in the northeast of the country the LNA is confronted with the militias of Benghazi and Derna, and in the south with the Tuaregs. Also, two terrorist groups - the Islamic State and Al Qaeda (both outlawed in Russia) - remain active in the whole territory of Libya. "The LNA’s reserves are not limitless, while well-trained and disciplined units capable of conducting urban warfare are not very many," Lukyanov said. "The population of Cyrenaica (where the LNA has its main base - TASS) is only a quarter that of Tripolitania. The East lacks enough troops for a prolonged military operation and ensuing occupation. Time is against Field Marshal Haftar. Lukyanov believes that for taking Tripoli Haftar will need foreign support. Although a number of states earlier provided assistance to the LNA, not a single foreign government has formally thrown its weight behind the offensive yet. Haftar does have potential allies, though. "Earlier, Haftar enjoyed the sponsorship of the United Arab Emirates, which not only provided funding, but starting from 2014 acted in the capacity of an intermediary between the Field Marshal, a military commander having no official political status, and different foreign actors - from official diplomats to private transport and military companies, banks and other financial organizations. Weapons and all necessary materials are regularly delivered to the territories under his control from the territory of Egypt." Also, the expert said, LNA officers and soldiers were trained by specialists from France. Britain has helped arrange for the treatment of the injured in Jordan. Haftar has contacts with the United States, a country whose citizenship he retains alongside the Libyan one. At the same time Haftar’s opponents may count on foreign support, too. Misurata’s militia, which alongside the LNA is one of the most combat-ready forces in Libya and confronts Haftar near Tripoli, earlier received assistance from Turkey and Qatar. Italy may be interested to see the Government of National Accord retain control of Tripoli. "The Faiz Saraj-led GNA was for a long time Italy’s main partner in controlling and easing the migration flows through the Libyan transit corridor to southern Europe," he explained. "The attempts to establish relations with Haftar, which began after the Giuseppe Conte government took over in Rome, have not been very successful. For this reason the Italian economic and political interests, just as military presence in Tripolitania, may come under threat in the context of Haftar’s offensive." In this situation Russia’s stance is confined to the search for ways of settling the political crisis. "Just as before, Moscow maintains contact with all participants in the political process concerned," Lukyanov said. "Contrary to allegations about the presence of Russian military personnel or civilian military specialists from Russia’s private military companies in Libyan territory that have appeared in some media no proof of this has been provided to this day. ".